Back then, door keys are just carefully shaped pieces of metal that fits into the keyhole of a door knob. Later on, it developed into the lightweight and handy electronic key cards. With the advancement of technology, the guests can now access their rooms by using their mobile phones as hotel keys. This innovation entails near-field communication technology or scanning a code visually. Although human interactions are undeniably valuable when it comes to customer service, there are times that it’s more convenient to avail of automated services. Nowadays, hotel guests prefer to remotely check in and check out because of its speed and convenience. With the help of automated services, the requests and concerns of hotel guests could be attended to with high efficiency. Not just that, the productivity of the hotel operations is also optimized. When you compare the capabilities of our mobile phones today with the first phone that was ever invented, you could distinctly see that it has come a long way. Gone are the days that phones are merely for communication. Smart phones today can now tether to control devices such as the television and sound system. Almost everything a person might need at present now has an application. Hotels today have made use of guest applications to improve their experience. This innovation enables people to look into hotel services, amenities, and loyalty programs at their fingertips. Through this application, the hotel could directly connect to the guests to communicate and make business transactions electronically. One of the huge strains that even the best hospitality brands are facing today is providing strong and fast Internet connection to their guests. At present, gadgets are becoming a part of the list of essentials when traveling. 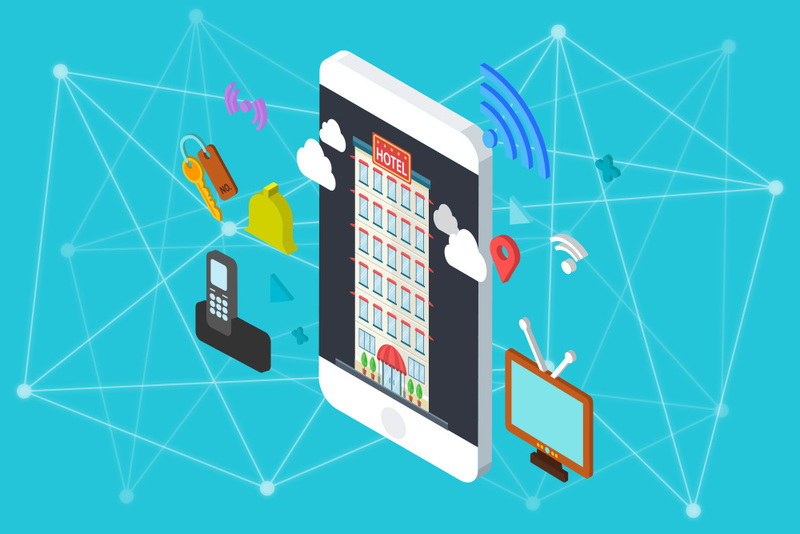 Numerous hotel guests connect their smart phones, laptops, tablets, and e-readers to the Internet – this is a common every day scenario where hotels are operating. It’s a challenge for hotels to meet the data needs of the guests, especially that the demand for bandwidth is continually growing. With the help of this developing location-based services, opportunities to enhance the guest’s hotel experience expands. When the hotel staff are given access to the location of the guests in the vicinity, this enables them to deliver their services to the guests more efficiently. This could also help in making the turnover of rooms that’s usually time consuming faster. Guests who are seeking assistance are also saved from the inconvenience of locating the staff they need when they are given access to the area where the employees are stationed. At hotels today, guests don’t just demand to have Wi-Fi access in their rooms. They also want lounges outside their rooms with Internet access where they could relax or get things done. To meet this demand, hospitality businesses now add stylish semi-public Wi-Fi areas to their amenities. Since almost every hotel service staff job description entails being on-the-go, Digital Enhanced Cordless Telecommunications (DECT) phones could come in handy. With this technology, hotel staff could communicate with one another without the need of Internet or radio-based networks. DECT phones basically function like a landline telephone that’s cordless. One of the things businessmen now consider when looking for meeting spaces is whether or not they have state of the art facilities. For business meetings, business people demand a place where they can make multimedia presentations and videoconferences for offshore attendees. These customers are also expecting these spaces to be user-friendly for their convenience. In the hospitality industry, there is always feedback after guests experience their amenities and services. The word of mouth could be very influential and this could affect the success of hospitality businesses. When hotels invest in social listening tools, they would be informed about the needs, wants, and complaints of guests. This could also help them to keep an eye on their competition.